Hello again, Dave here with a look at another cool themed slot machine. If you feel like you need to connect with your inner Viking then Hall of Gods might be a lucky game for you. This is a straightforward 5 reel slot game with lots of Norse mythology theming and a rather moody “rainy seashore” ambient sound that I personally find very relaxing to play along to. This game will help you brush up on your nordic deities, as all the symbols refer to something around viking and norse mythology and religion, including symbols for such deities as Thor, Odin, Freya and Loki (although wasn’t that last one also a comic book villain?). 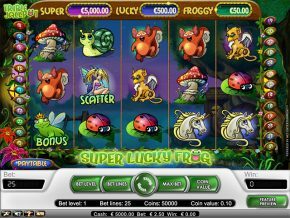 You can choose your coin values anywhere from €0.01 through to €0.50 so this is a good game for beginners and casual players as well as those looking to win some serious money. As well as the viking gods, the fully-themed graphics introduce some other symbols, although I’m not sure how strictly relevant to Norse mythology they might be – hammer, pickaxe and ring, definitely. I’m just not so sure about the dreamcatcher and the case full of fruit! However, the really important ones that mix things up a lot are all fitting to the theme. The Raven (that’s the scatter symbol in this game) can provide some instant wins if you see 2 or more of them at a time. 3 Ravens will see a tasty free-spin round activated. The main bonus symbol is Thor’s Hammer and Shield. If you find 3 of them you enter the 2nd screen bonus feature. Finally, and appropriately, Dragons are wild! If one of these beasts turns up on the middle reels he’ll expand to cover all three giving some nice payout opportunities. 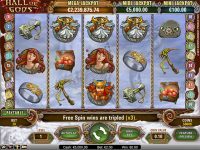 If you access the game’s help screen there’s a comprehensive pay table with all the details, but the main feature you all want to know about is jackpots… If you manage to find 5 pictures of Mighty Odin in a line well done! You’ll get the top base prize of 4000 coins. Now I know that doesn’t sound much, but there are actually progressive jackpots available. On screen you’ll see the win values for the mini, midi and Mega jackpot – the last of these is usually in the millions! These are accessible when you get through to the bonus rounds. Bonus Game: If you get 3 special symbols then you’ll get to play for one of those tantalising progressive pots! This bonus game give you a screen full of Thor’s Shields – pick three matching ones and you’ll be laughing all the way to Valhalla! Free-Spins: The Raven will give you entry to a free-spin game if 3 or more of these feathered-friends show up. 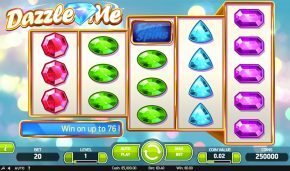 For 3 you’ll win 10 spins. 4 ups things to 15. 5 gives 20! They are also cumulative, so if you get 3 or more raven appearing during your free goes – they’ll count for additional extra spins as well. As with most of these video slots, playing is pretty straightforward. 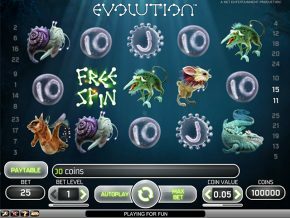 Choose your coin value at the start of your turn and hit the spin button. There are also automatic play features – you just choose how many spins and set the machine going. You can stop it in progress at any time if you need to wrestle manual control back. There’s also the ability to adjust the volume of the sounds, remove that lovely seashore effect, and more. There’s also a handy “game history” feature where you can track your performance and track winnings. I’m off to pillage my way to a progressive jackpot now, all hail Odin!